Newberry College has announced a slate of events to commemorate April as Sexual Assault Awareness Month, calling attention to sexual assault and human trafficking. The programming is sponsored by the Department of Social and Behavioral Sciences, in conjunction with area non-profit organizations and local businesses. April 1 – Kickoff Rally, featuring state Rep. Mandy Powers Norrell, of Lancaster. The event will include booths for the Clothesline Project, Visions of Women, and more. Co-sponsored by the Social Justice Club, with pizza provided by the Muller Center. Campus Quad, 11:30 a.m.
April 1 – Fashion Show Fundraiser for Sexual Trauma Services of the Midlands, co-sponsored by All Campus Events. Alumni Music Center, 7:30 p.m.
April 2 – Trivia Tuesday: Sexual Assault. Steele Student Center, 8 p.m.
April 11 – Genesis Hub Coffee Talk on Human Trafficking: a panel discussion on modern-day slavery, the plight of survivors, and what we can do to combat human trafficking. Panel features author Carol Hart Metzker, Professor Cynthia Eshleman and Dr. Carrie Caudill. Genesis Hub Coffee Shop, 1110 Main St., 8 a.m.
April 11 – Carol Hart Metzker presents “Facing the Monster.” The author, survivor advocate, and modern-day abolitionist will give a lecture on how to end human trafficking. CTE: Gnann Conference Room, 7 p.m.
April 17 – Panel discussion: “Newberry Needs to Talk About: Consent,” sponsored by the Social Justice Club. This discussion deals with the topic of consent from multiple stakeholders and experts in the sexual assault prevention field. Alumni Music Center, 7:30 p.m.
April 18 – “Walk Like a Wolf” Fundraising Walk for Sexual Trauma Services of the Midlands. Co-sponsored by the Social Problems Class. 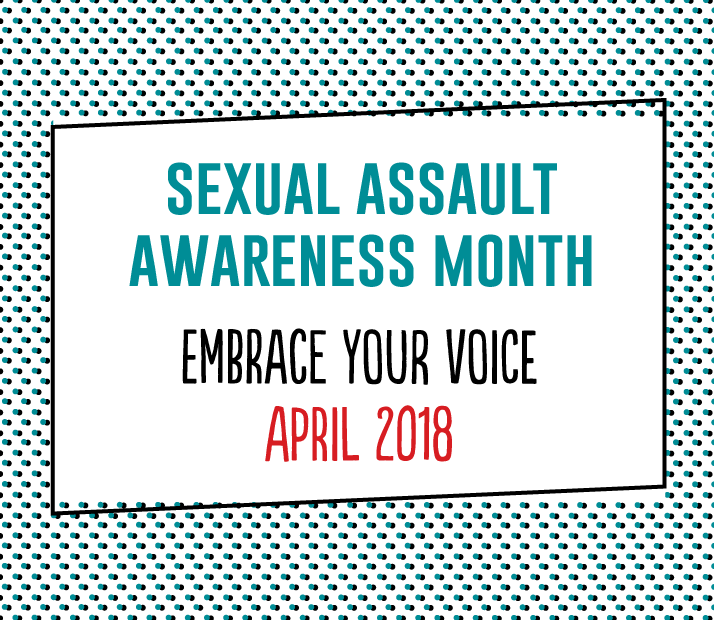 The walk will be a mile around campus, beginning at the wolf statue at the main entrance on College St. 3 p.m.
April 24 – Denim Day: wear denim to support survivors of sexual assault. Co-sponsored by Martha Dorrell, Director of Health and Counseling Services. April 1–30 – “Think, Advocate, Act, Abolish: Become an Abolitionist and End Modern-Day Slavery,” a traveling exhibit on human trafficking, will be featured in Wessels Library. April 1–30 – The Clothesline Project: a display of t-shirts decorated to visually demonstrate the impact of sexual violence in our community. Blank shirts will be available for pick-up at the April 1 Kickoff Rally, or from April 2–26 in McClurg Center room 212. Decorated shirts will be displayed from April 27–30 on the Quad. All events and the exhibit are free and open to the public.